We've officially reached some of the hottest days of summer. 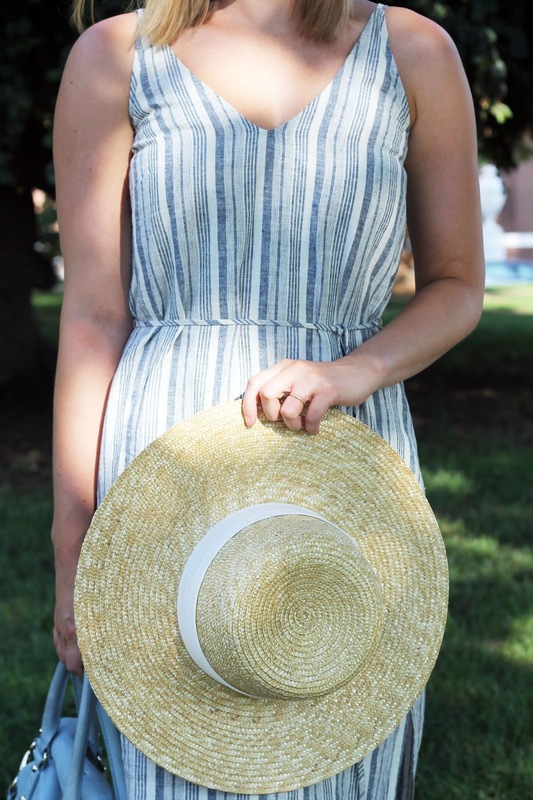 We are in the final stretch, and I am reaching for lightweight dresses to get me through the last few weeks. 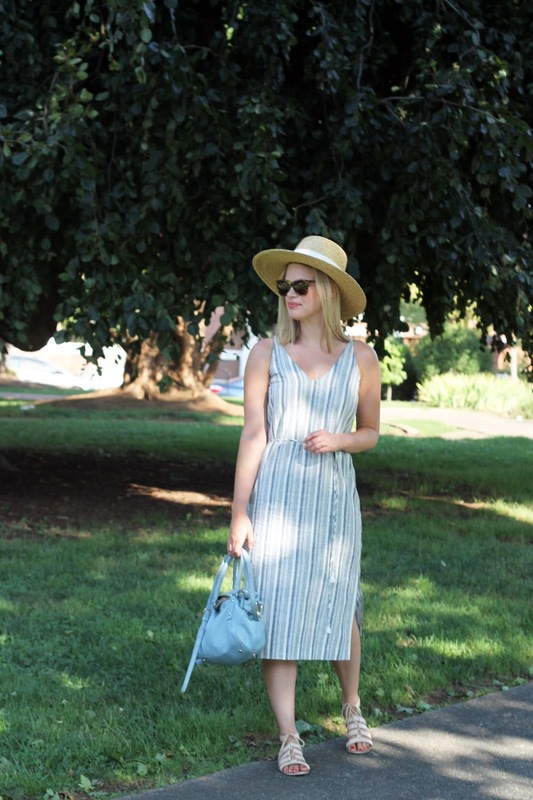 I picked up this linen midi dress from Ann Taylor on a sale a few weeks ago. I love that it is a mix of cotton and linen so the wrinkling is at a minimum. So, I still look put together at the end of the day. 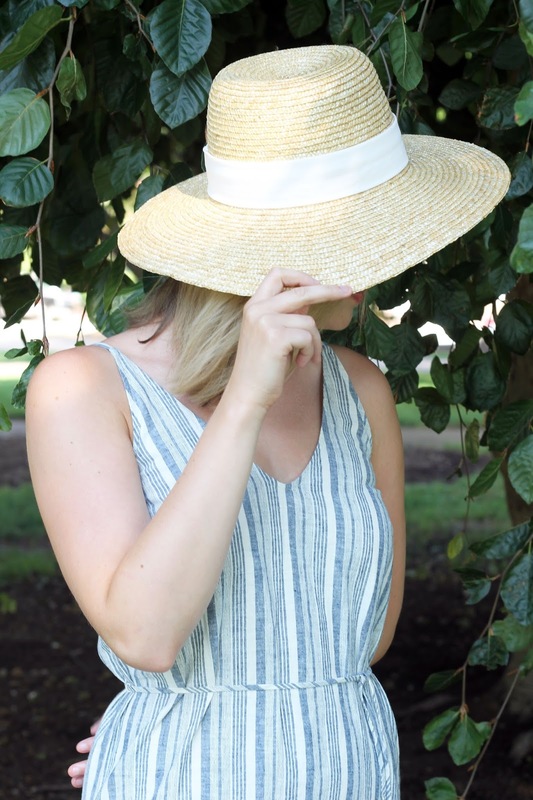 Paired with my favorite straw hat and I have a look that to me, embodies August.